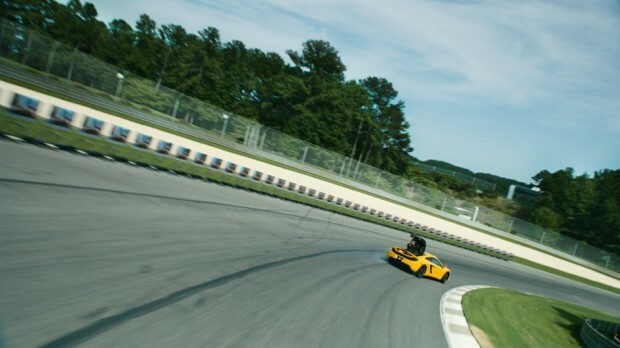 Forza Motorsport 5 teamed up with stunt driver Tanner Foust to race along a closed track in Birmingham, Alabama at speeds of up to 120 mph, with a high-resolution camera rig attached to the roof of a McLaren C12 supercar. On the edge of the track, were 680 frames of in-game footage from Forza Motorsport 5–perfectly spaced 6 inches apart. The idea was to have the super-fast camera car race around the track and film the the zoetrope–the result is nothing less than spectacular.